Lahore, November 10: PILDAT is all set to launch the first batch of Youth Provincial Assembly on Friday November 11, 2016. The session will span from November 11-13, 2016. Youth Provincial Assembly Punjab will be officially inaugurated by Honourable Rana Mashood Ahmad Khan, MPA, Provincial Minister for Education /Former Deputy Speaker, Punjab Assembly. Members are expected to call on Honourable Chief Minister of Punjab while they will also visit the Punjab Development Department, Government of Punjab. In providing an orientation to members on how the Provincial Assembly of the Punjab works, Mr. Inayat Ullah Lak, DG Parliamentary Research, Provincial Assembly of the Punjab, will address the Members of Youth Provincial Assembly Punjab. Mr. Shahid Hamid, Senior Constitutional Expert, will address young women and men on Overview of the Constitution of Pakistan while Mr. Zafar Mahmood, Former Chairman WAPDA, will address the House on Agriculture & Water Resources. Members will also undergo training on Countering Violent Extremism. 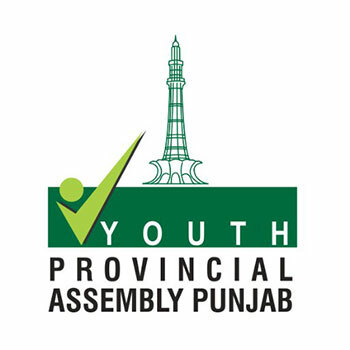 The Youth Provincial Assembly Punjab (www.ypa-punjab.pk) is a new PILDAT (www.pildat.org) initiative, which is patterned after the Provincial Assembly of the Punjab. Its membership, 40 in total, is drawn from across all districts of Punjab. The specific objectives of the YPAP are to groom the leadership potential of the youth from Punjab to help them articulate their views on national and provincial policies in an informed and structured manner through dialogue and debates. In the 3-day session, Members will undergo Election process to elect office bearers. The Youth Provincial Assembly Punjab will have its own 2-party system, Deputy Speaker, Leader of the House and Opposition, as well as an augmented system of Committees. As a pilot initiative, the YPAP members are set to join 3 sessions of 3-days each between November-December 2016. The objective behind conceptualizing a dedicated Youth Provincial Assembly Punjab is to engage youth from the province to help inform, guide and rationalize their thought process about extremism and build their capacity to act as catalyst and initiate constructive change in their communities. An independent Steering Committee of Youth Provincial Assembly Punjab oversees the selection process and the effective functioning of YPAP. The Members of the Steering Committee include Mr. Shahid Hamid, Former Governor Punjab, Former Federal Minister, Senior Advocate Supreme Court of Pakistan; Mr. Mujib ur Rehman Shami, Senior Journalist and Columnist; Ms. Faiza Ahmed Malik, MPA; Mr. Murad Rass, MPA (PTI, PP-152, Lahore-XVI); Qazi Adnan Farid, MPA (PML-N, PP-268, Bahawalpur-II); Ms. Tahmina Habib, Deputy Secretary, Department of Youth Affairs, Government of Punjab; Mr. Khalid Mahmood, Deputy Secretary Legislation, Provincial Assembly of the Punjab; Ms. Khushboo Ejaz, Lecturer, Kinnaird College for Women Lahore; Syed Ali Raza Shah, Lawyer, Former Member of Youth Parliament Pakistan and Mr. Ahmed Bilal Mehboob, Secretary General Youth Provincial Assembly Punjab, President, PILDAT.